Disrupting the disruption: Using blockchain to keep the pharmaceutical supply chain secure. Have you considered using blockchain to allow your pharmaceutical supply chain to be better protected? Karim Jawhary, Senior Director of Life Sciences and Healthcare at Unisys, reveals how he believes using blockchain will help keep supply chains more secure and safe. Drugs that intended to help, heal, and save are being compromised every day and the patients depending on them are the ones who suffer. We need to disrupt this disruption by addressing the security and visibility risks that prevent valuable pharmaceuticals from reaching their intended market. The potential of blockchain used to be confined to the walls of bitcoin, a security gate for anything cryptocurrency, but we have now come to recognize it as having much broader value for a plethora of industries. While the adoption of blockchain in the life sciences and healthcare is still in its infancy, we are beginning to see rapid deployment and excitement about the capabilities of the technology. Historically, we have assumed that the global pharmaceutical industry is slow to adapt, resistant to change and last to innovate – not exactly a breeding ground for blockchain to flourish. However, blockchain technology is constantly evolving, which can be difficult in a complex pharmaceutical landscape, more than half (60%) of pharmaceutical and life sciences professionals are either using or experimenting with blockchain today. There are tremendous opportunities to deploy blockchain in high-value, life critical processes. As a cryptographically secure system, it establishes trust between parties via guaranteed privacy, shared data, auditable transactions, and complete traceability. Blockchain provides a seamless follow-through of a whole lifecycle. For example, it is used at the start when undergoing clinical research and trials, at the mid-point for the tracking and tracing of a certified drug, and lastly to post-market surveillance. For blockchain to be effective, it needs to follow best practices for suitable implementation, a challenge when it comes to logistics and cargo handling. Current processes in the pharmaceutical supply chain are fraught with inefficiencies and are typically error-filled, with many occurring at the point of data input. It is important to note that even though many of the steps and processes can be automated with blockchain, they still require manual oversight and intervention. However, once weaknesses are eradicated, blockchain is able to work to its optimum level and will ensure a level of data reliability and integrity. With all the noise around blockchain, it is paramount to understand that pharmaceutical supply chains, large and small, are not immune to cyberattack. No matter how powerful blockchain may be, there is still high susceptibility at every point of the supply chain. Ideally, that would include working with a technology partner that has time tested and bulletproof security solutions that fund and develop innovations and undergo a design thinking process for each individual company. This provides an opportunity for a tailored security approach that fits each and every requirement perfectly. Blockchain allows for true end-to-end traceability, and the benefits of this are evident. Since blockchain exchanges information with external systems, an independent security platform is still a necessity. Current news is filled with headlines about hacked blockchain instances, where various types of breaches have occurred. Because of this, pharmaceutical supply chains must not simply rely on the innate security of the blockchain itself, but instead secure blockchain technology with a platform that uses robust infrastructure security that is ready for the demands of the pharmaceutical industry. 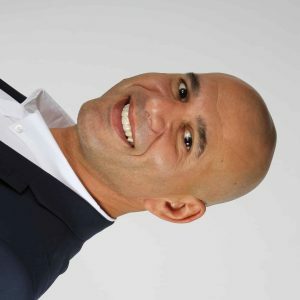 Karim Jawhary was a speaker at FlyPharma Conference Europe 2018 presenting on the topic of ‘Are we ready for the modern hacker?’ View his profile here. We’ll be discussing blockchain strategies in more detail at FlyPharma Europe 2019 in Copenhagen on 22-23 October – register your place here.